Hypnosis has been around for many years. The Ancient Egyptians had their Temples of Sleep and the Greeks their Shrines of Healing. Sleep temples were hospitals of sorts, healing a variety of ailments, perhaps many of them psychological in nature. Treatment involved chanting, placing the patient into a trancelike or hypnotic state, and analyzing their dreams in order to determine treatment. In Greece, they were built in honor of Asclepius, the Greek God of Medicine. 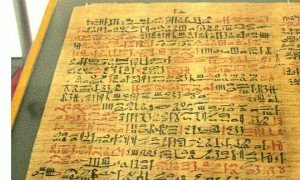 The earliest written records can be found in texts like the Ebers Papyrus, an Egyptian medical text dating around 1550BC. 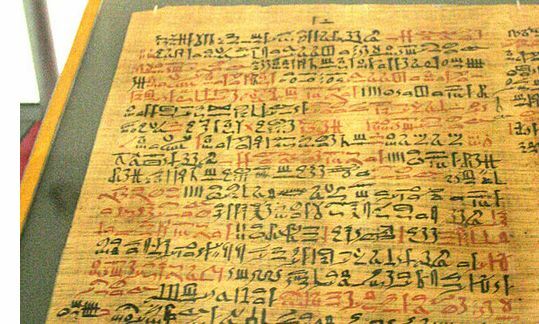 The Ebers papyrus is written in hieratic script and preserves for us the most voluminous record of ancient Egyptian medicine known. The 110-page scroll contains some 700 magical formulas and remedies. Although it contains many incantations meant to turn away disease-causing demons and other superstition, there is also evidence of a long tradition of empirical practice and observation. Ceremonies and mysticism were used to provide even more reason for the participants to believe in the temples or healers ability to heal. You could also ascribe to hypnosis the many healings and miracles of relics, holy men and shrines. According to a Greek legend the gods were looking for a place to hide the greatest power that they held. They thought about placing it on the highest mountain top but they figure we would look there eventually. This discussion went on with different gods suggesting different places but none of them would be safe from humans looking. Eventually it was YPNOS that suggested that the greatest gift be hidden in each of us because we would never think to look inside ourselves for it. While it is true that the very early origins of Hypnotic like behaviors are ‘shrouded in mystery and magic’, much can be inferred. 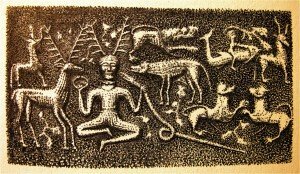 One of the best descriptions of the pre history development of suggestion therapy is given by Brian Inglis (Natural Medicine), in which he deals with Shamanism, Witch Doctors, Suggestion, etc. Tribal man began to rely on memory, rather than instinct, to tell him which berries were safe to eat, and from which springs it was safe to drink; decisions were left to the elders of the tribe. There was, however, another health service available to him. If consciousness could be suspended for a while, instinct or intuition might provide the answers. An individual who could ‘dissociate’ enter into a state of trance, in order to consult instinct was consequently regarded as of great value to the tribe; the obvious choice, in fact, as Tribal Doctor. When explorers, missionaries, and traders began to describe what they had seen of tribal customs, their reports showed that tribes all over the world employed what they variously described as shamans, witch doctors or medicine men, chosen because of their ability. Sometimes the tribal doctor would simply become abstracted, as if unaware of his surroundings; on recovering consciousness, he would relate what he had seen, and learned, in his trance. More often or perhaps it was more often reported, because it was more striking he had what looked like a fit, foaming at the mouth and going into convulsions, until the voice sounding unlike his own would speak through him, or sometimes to him’. Both the ‘Old’ and the New Testaments contain numerous references to events seemingly ‘magical’ or ‘miraculous’. Looked at objectively, many such happenings, but by no means all of them, become easier to understand in terms of suggestion. 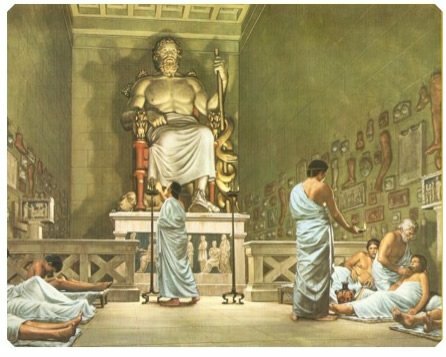 During the Hellenistic Period and later there were numerous Aesculapian Sleep Temples, and these were much in use for the mentally ill. A roomwas set aside for those who would sleep in the Temple, having been prepared by the priests; and whose dreams were ‘interpreted’ by the priests so as to ‘cast out bad spirits’. The method was basically suggestion; the awe produced by the priest, the solemn procedure and the powerful effect of atmosphere within the Temple, all heightening the effect of suggestion. Mac Hovec (Hypnosis before Mesmer) reports that the Aesculapian priests sometimes used a brush, as if to brush away’ unhealthy symptoms. Or they would use a cloth, or touch with the hand. This, of course, is very similar to Mesmer’s passes with or without contact. 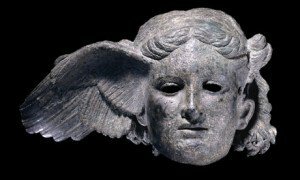 Going back still deeper into history, it is well known that ancient civilizations have used what is now called hypnosis. 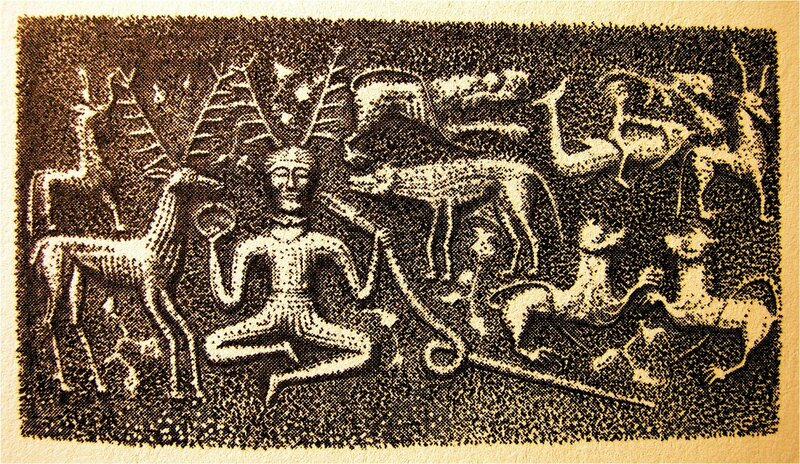 Certainly the ancient Egyptian, Creek and Persian cultures have produced the best documentation. Kroger and Fezler (Hypnosis and Behavior Modification) discuss the ancient Hebrew’s use of magical rites and incantation: they used meditation with chanting; breathing exercises and fixation on the Hebrew letters of the alphabet that spelled GOD (or other name for God). These ritualistic practices were rather similar to auto hypnosis and produced an ‘ecstasy state’ called Kavanah. ‘In the Talmud, Kavanah implies relaxation, concentration, correct attention (motivation) and all enhanced the ritualistic procedures’ (Kroger and Fezler). Benson (The Relaxation Response) cites other traditional religious practices capable of achieving ‘altered states of consciousness) and what he calls the ‘relaxation response). The Temples of Imhotep were busy centers for incubation or sleep therapy and ‘shrine sleep’ is still encountered in some parts of Africa and the Middle East’. ‘ Under the influence of incantation, and through the performances of religious rituals, sick persons were psychologically prepared for such therapeutic procedures’. He maintained that the brain not only controlled the entire body, but also our feelings and emotions, as well as being the seat of disease. 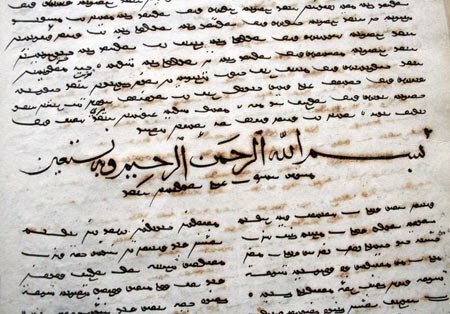 The Hippocratic oath named after Hippocrates was created long after his death. 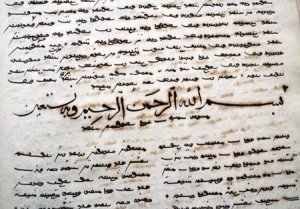 A book written in Turkish (according to W.l. of P.) called KutadguBilig, tells about the efsuncus. These were a kind of medical auxiliary, who used ‘suggestion’ to ward off jinns (or demons). They enjoyed a status rather less than that of physicians. Pietro D’Abano was (according to World History of Psychiatry, (Ed. John G. Howells) a teacher of medicine, philosophy and astrology in Padua. 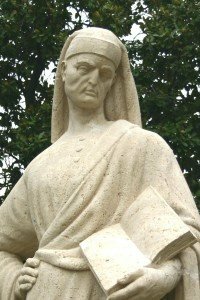 He wrote Conciliator Differentiarum and he held ‘… that suggestion (pracentatio) when practiced by a kind and, at the same time authoritative personality, had definite effects on mentally disturbed people well disposed toward this method of treatment’ (my underscoring). Pietro D’Abano could well have been described as a ‘Suggestionist’: but this was 400 years before Mesmer. There was no need for magnets, but D’Abano might well have considered that Mesmer’s ‘trappings’, however erroneously conceived, may well have heightened the effect of suggestion. 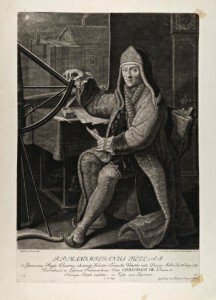 It is known that Mesmer himself was strongly influenced by Father Maximillian Hell, especially in his speculations about astrology and the influence of the planets upon the human body. Mesmer wrote his Thesis on this. But rather Hell had been using magnets to treat the sick and Mesmer, a physician, made his classic mistake of crediting the magnets with the power of healing, and overlooking the subjective nature of the ‘cures’. Other magnetisers may well have been at work, but without ‘attracting’ the attention subsequently achieved by Mesmer. The magnetic properties of pieces of lodestone and later, magnetic iron ore, have interested and puzzled countless enquiring minds. At the time of Mesmer, in eighteenth century Europe, magnets were sometimes used in the treatment of nervous illnesses, and there were reports of cures of stomach troubles and toothache. is referred to by most as the founder of hypnotism as it is today. 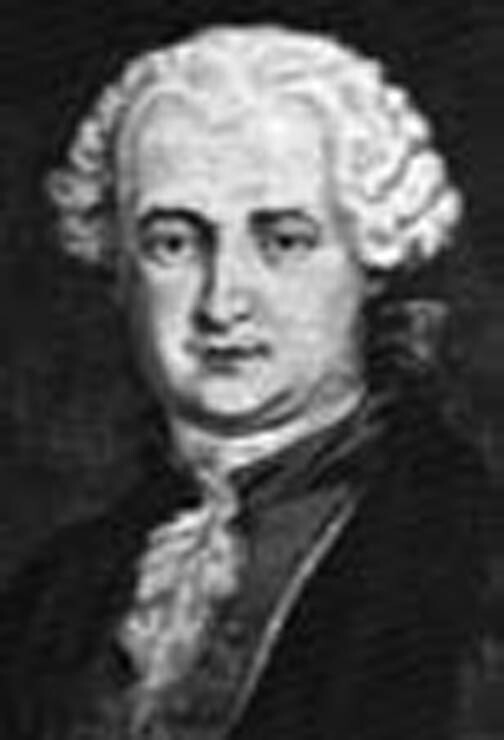 He studied the effects of magnetism under Father Hell, a Viennese Jesuit (1720-1792). He later believed that he possessed the ability to heal using a theory called animal magnetism. 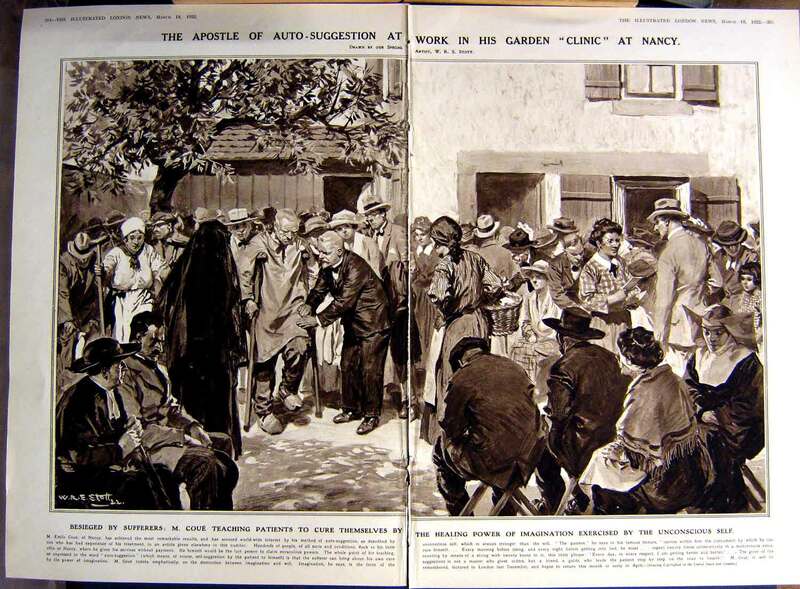 Mesmer treated patients both individually and in groups. With individuals he would sit in front of his patient with his knees touching the patient’s knees, pressing the patient’s thumbs in his hands, looking fixedly into the patient’s eyes. Mesmer made “passes”, moving his hands from patients’ shoulders down along their arms. He then pressed his fingers on the patient’s hypochondriac region (the area below the diaphragm), sometimes holding his hands there for hours. Many patients felt peculiar sensations or had convulsions that were regarded as crises and supposed to bring about the cure. Mesmer would often conclude his treatments by playing some music on a glass armonica. “In the middle of a large room stood an oak tub, four or five feet in diameter and one foot deep. It was closed by a lid made in two pieces, and encased in another tub or bucket. At the bottom of the tub a number of bottles were laid in convergent rows, so that the neck of each bottle turned towards the centre. Other bottles filled with magnetized water tightly corked up were laid in divergent rows with their necks turned outwards. Several rows were thus piled up, and the apparatus was then pronounced to be at ‘high pressure’. The tub was filled with water, to which were sometimes added powdered glass and iron filings. There were also some dry tubs, that is, prepared in the same manner, but without any additional water. The lid was perforated to admit of the passage of movable bent rods, which could be applied to the different parts of the patient’s body. A long rope was also fastened to a ring in the lid, and this the patients placed loosely round their limbs. No disease offensive to the sight was treated, such as sores, or deformities. “A large number of patients were commonly treated at one time. They drew near to each other, touching hands, arms, knees, or feet. The handsomest, youngest, and most robust magnetizers held also an iron rod with which they touched the dilatory or stubborn patients. The rods and ropes had all undergone a ‘preparation’ and in a very short space of time the patients felt the magnetic influence. The women, being the most easily affected, were almost at once seized with fits of yawning and stretching; their eyes closed, their legs gave way and they seemed to suffocate. In vain did musical glasses and harmonicas resound, the piano and voices re-echo; these supposed aids only seemed to increase the patients’ convulsive movements. Sardonic laughter, piteous moans and torrents of tears burst forth on all sides. The bodies were thrown back in spasmodic jerks, the respirations sounded like death rattles, the most terrifying symptoms were exhibited. Then suddenly the actors of this strange scene would frantically or rapturously rush towards each other, either rejoicing and embracing or thrusting away their neighbors with every appearance of horror. Another room was padded and presented another spectacle. There women beat their heads against wadded walls or rolled on the cushion-covered floor, in fits of suffocation. In the midst of this panting, quivering throng, Mesmer, dressed in a lilac coat, moved about, extending a magic wand toward the least suffering, halting in front of the most violently excited and gazing steadily into their eyes, while he held both their hands in his, bringing the middle fingers in immediate contact to establish communication. He was later discredited by a Royal Commission of 9 members in April of 1784. Four members were from the Medical Faculty including one Dr. Joseph Ignance Guillotin who invented the guillotine. Five members were from the Academy of Science including one Benjamin Franklin the envoy of the United States to France who was noted for his practical research into science. The commission was to prove or disprove the theory of Animal Magnetism. One report that I read on the reason for the study was because of his success working with a blind girl that played the piano. This young girl started to get her vision back. Until this time the parents have been living off from what their daughter was making and they started to fear her success. They complained about Mesmer and forbid him to see her anymore so her vision left her again. This is a prime example of secondary gain to an illness. The commission dismissed animal magnetism and regarded the healing as merely the imaginations of the patients. This led to the belief that it was not animal magnetism but the power of suggestion that healed patrons. Most of us are familiar with the term mesmerize. 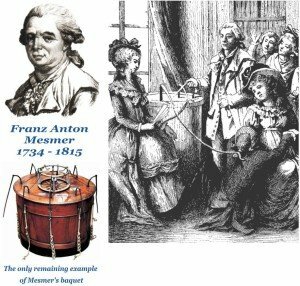 Mesmer financed a concert for Mozart at one time in which Mozart was very appreciative. There are a lot of different variations to what happened to Mesmer but one thing is for sure he did gain great results in some famous people using his theory of Animal Magnetism. 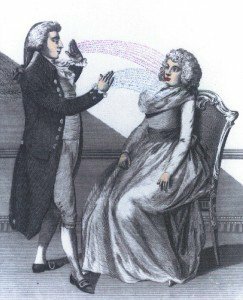 A student of Mesmer and a wealthy landowner, experimented with magnetic healing and first described and coined the term somnambulism. In his work with Victor Race, a young peasant, the Marquis discovered that patients carried out the commands of the magnetizer and when they awoken they did not remember the events. The Marquis later came to the conclusion that the force of the magnetizers belief, will to cure and rapport with the client determined the success of the therapy. It is also important to note that amnesia is not a common event in hypnosis today. Most people will remember everything that happens during the hypnosis session. He studied medicine first at Edinburgh and then at Cambridge, in both places he took the degree of MD, and subsequently in London at St Thomas’ and Guy’s hospitals. 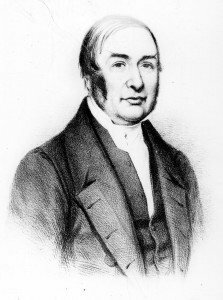 In 1831 he was elected professor of the principles and practice of physic in London University, and in 1834 he became physician to UniversityCollege Hospital. He advocated the use of hypnosis in therapy and in 1849 founded a mesmeric hospital. He was one of the first teachers in London to emphasize clinical lecturing and invented the stethoscope. Published first journal dealing with hypnosis – ‘Zoist’. A surgeon, born in Fife, Scotland and educated at the University of Edinburgh. Braid practiced in Scotland for a short time, then moved to Manchester, England, where he lived for the rest of his life. Braid became interested in mesmerism in November 1841, when he observed demonstrations given by a traveling mesmerist named Charles Lafontaine. Convinced that he had discovered the key to understanding these phenomena, Braid began giving lectures the following month. In 1843 he published Neurypnology: or the Rationale of Nervous Sleep, his first and only book-length exposition of his views. In this book he coined the words hypnotism, hypnotize, and hypnotist, which remain in use. Braid thought of hypnotism as producing a “nervous sleep” which differed from ordinary sleep. At first he called the procedure neuro-hypnosis and then, believing sleep was involved, to hypnosis. Realizing that hypnosis was not sleep, he later tried to change the name to monoideaism, but the term hypnosis had stuck. 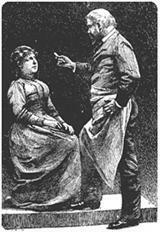 He noted that during one phase of hypnotism, known as catalepsy, the arms, limbs, etc., might be placed in any position and would remain there; he also noted that a puff of breath would usually awaken a subject, and that by talking to a subject and telling him to do this or do that, even after he awakes from the sleep, he can be made to do those things. Braid thought he might affect a certain part of the brain during hypnotic sleep, and if he could find the seat of the thieving disposition, or the like, he could cure the patient of desire to commit crime, simply by suggestion, or command. Braid’s conclusions were, in brief, that there was no fluid, or other exterior agent, but that hypnotism was due to a physiological condition of the nerves. It was his belief that hypnotic sleep was brought about by fatigue of the eyelids, or by other influences wholly within the subject. In this he was supported by Carpenter, the great physiologist; but neither Braid nor Carpenter could get the medical organizations to give the matter any attention, even to investigate it. Braid used hypnotism to treat both psychological and physical conditions. He completely rejected Franz Mesmer’s idea that a magnetic fluid caused hypnotic phenomena, because anyone could produce them in “himself by attending strictly to the simple rules” that Braid laid down. Braidism is a synonym for hypnotism, though it is used infrequently. He studied medicine at Edinburgh and graduated in 1830, obtaining a position with the British East India Company. He acquired the Indian skill of drugless traditional trance therapy from a Bengali country magician. In the early 1800’s working in a prison in India he reported on 345 major operations using nothing but hypnosis for anesthesia, for this reason he is considered the father of hypno-anesthesia. During this time the mortality rate dropped from 25-50% to 5%. They stated that the reason for this was because the sub-conscious mind must have developed a better resistance to infection in the body. Charcot, Jean Martin (1825–1893) French Neurologist. He developed at the Salpêtrière in Paris the greatest clinic of his time for diseases of the nervous system. He made many important observations on these diseases, described the characteristics of tabes dorsalis, differentiated multiple sclerosis and paralysis agitans, and wrote on many neurological subjects. 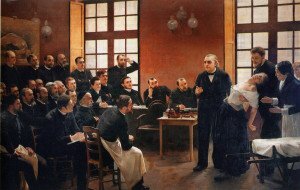 Charcot’s insight into the nature of hysteria is credited by Sigmund Freud, his pupil, as having contributed to the early psychoanalytic formulations on the subject. 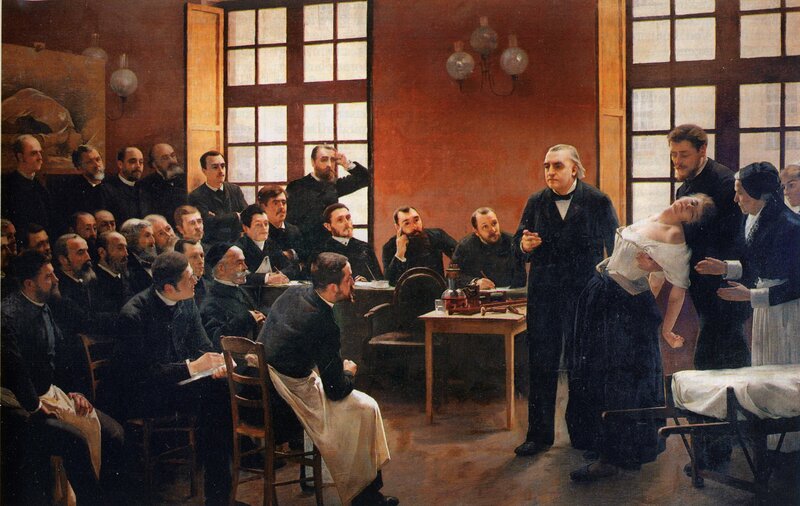 But Charcot’s most enduring work is that on hypnosis and hysteria. Charcot believed that hysteria was a neurological disorder caused by hereditary problems in the nervous system. 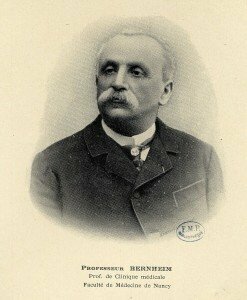 He used hypnosis to induce a state of hysteria in patients and study the results, and was single-handedly responsible for changing the French medical community’s opinion about the validity of hypnosis (it was previously rejected as Mesmerism). As is often the case in wartime need necessitate innovation. During the American Civil War (1861-1865) the first extensive medical application of hypnosis was used by doctors in the field. Although hypnosis was used effectively for pain management, the introduction of the hypodermic needle and the general chemical anesthetics of ether eventually reduced its use. In 1892 the British Medical Association unanimously endorsed the therapeutic use of hypnosis and rejected the earlier theories of Mesmer (animal magnetism). Even though the BMA recognized the validity of hypnosis, Medical Schools and Universities still largely ignored the subject. He found a vital clue in order to extend the use of hypnosis into a more valuable and wider field. He found that one of his patients “Anna O” spoke of her issues when under hypnosis in an emotional manner. When she returned to a fully conscious state her symptoms were gone. For example, on recalling her disgust at seeing a dog drink from a lady companion’s glass of water a year before, she was suddenly able to drink once more, having for some time been able to quench her thirst only by eating fruit such as melons. Breuer reported, Anna fell prey, during her father’s final illness and in the months after his death, to the most appalling symptoms of hystericalparalysis and anesthesia in three out of her four limbs, together with a succession of other distressing psychiatric symptoms. At different times these included weakness, inability to turn her head, diplopia, a nervous cough, loss of appetite, hallucinations, agitation, mood swings, abusive and destructive behaviour, amnesia, somnolence, tunnel vision and partial aphasia. His young friend Sigmund Freud continued to work with Breuer and studied these effects. Their paper, On the Psychical Mechanism of Hysterical Phenomena(1893, tr. 1909), more fully developed in Studien über Hysterie (1895), marked the beginnings of psychoanalysis in the discovery that the symptoms of hysterical patients—directly traceable to psychic trauma in earlier life—represent undischarged emotional energy. The therapy, called the cathartic method, consisted of having the patient recall and reproduce the forgotten scenes while under hypnosis. 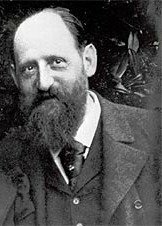 The work was poorly received by the medical profession, and the two men soon separated over Freud’s growing conviction that the undefined energy causing conversion was sexual in nature. Freud then rejected hypnosis and devised a technique called free association, which would allow emotionally charged material that the individual had repressed in the unconscious to emerge to conscious recognition. 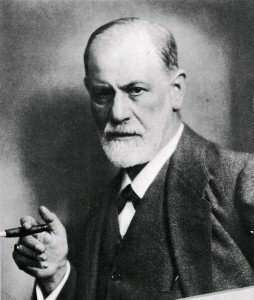 My personal opinion is that Freud enjoyed his addiction to cocaine and later developed cancer in the jaw that made it difficult for him to be effective as a hypnotist. Prior to Freud, suggestion was the only known method of psychotherapy. This was used extensively with good results. Bernhei joined Liebeault and they conducted a clinic together. In 20 years, they treated over 30,000 patients together with suggestions under hypnosis. They had such amazing success that doctors from all over Europe came to study under them, including Freud. Bernheim wrote a book on hypnosis ‘De la Suggestion,”which Freud translated trying to find a physiological explanation of suggestion in the nervous system. At the Salpetriere in Paris, many doctors originated numerous theories of hypnosis from ischemia being the cause of hypnosis and post-hypnotic amnesia which might cause permanent brain lesions (Neynert) to being a type of sleep (August Forel). In general, it was agreed that hypnosis inhibited certain cortical activity in the brain allowing suggestions to be ore readily accepted. Jean-Martin Charcot, head of the Salpetriere, believed it was an alternate state of consciousness. Whereas the Nancy school was based on psychology and verbal suggestion using light hypnosis with no amnesia effect the Chariot School studied physiology, reflexes and physical means to affect these, like deep hypnosis with amnesia, magnets or metal plates (effects discovered in 1876 by Dr. Burcq). Transference (one patient’s ailments passing to another) was discovered. This was perfected by a neurologist, J.F.F. Babinski. He became head of the clinic when Charcot died. Babinski changed his mind about the physical effects of hypnosis and accepted the theory of suggestibility. He tried to prove Hysteria was the diseased manifestation of hypnosis. Soon, hypnosis was associated with neuroses and weakness; no one wanted to be hypnotizable. Hypnosis sank into obscurity, except for Dr. Pierre Janet, head of the pathological psychology laboratory, who still believed in hypnosis. Christian Science (a religion that teaches that diseases can be cured by spiritual means) and psychoanalysis swept theU.S. and Europe, replacing hypnosis. 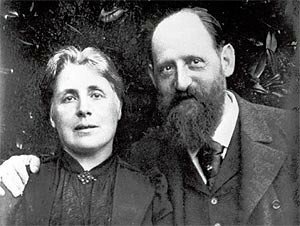 In 1880, the daughter (known in case histories as Anna O) a patient of Dr. Joseph Brier (A Viennese internist and Freud’s collaborator) developed hysterical symptoms. She would go into spontaneous hypnosis and tell Brier childlike stories, sleep and awake refreshed. If he did not come one day, she would worsen until she told him two stories the next day. After her father’s death, she began to include memories from the early months of nursing her father where he symptoms began. Each time she did, the symptoms gradually disappeared until she was cured. The emotional ordeal Breuer was put through caused him to refer all patients of this type to Freud. Freud continued to use this method. Freud’s theories at this point were as follows: People normally have doubts and misgivings, which they succeed in controlling. The physical exhaustion caused by nursing an ill person might predispose on to psychic states thereby causing loss of control. He thought the failure to react to a trauma caused suppression, which caused problems. When he insisted that patients “remember”, they would often do so, but he found much resistance and came up with the theory of defense. This was also applied to sexual life-the effect of pushing away sexual feelings could transfer to another object causing obsessions hysteria, etc. Freud and Breuer thought discharge of intense feelings of traumatic events was a purge for the patient. Sharing the emotional experience often produced a speedy curative effect. Freud found that many hysterics had had infantile sexual traumas such as seductions, assaults, etc. However in 1885, he started having doubts and finally gave up this train of ideas. He did so because he was not able to hypnotize many people, and found much resistance; he doubted whether his treatments could overcome the ego’s resistance and supply the real answer or he would have had more satisfactory conclusions. He found out that many of the incidents people had supplied when he insisted they remember were not accurate. He underwent self-analysis and then went into different areas of psychology-free association and dream interpretation. Disorders, and functional language disorders, and organic diseases. 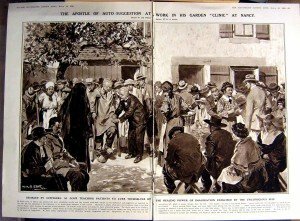 During wartime, hypnosis was used to put soldiers back into action. Hypnosis reduced the stress and the soldier was able to overcome environmental pressure (such as in the case of Anna O). Although hypnosis was not an accepted practice, there were so many soldiers with illnesses caused by wartime trauma that many psychiatrists used the same technique as Breuer, a reliving of the emotional stressful war situation, to cure the patient quickly. This worked well, and hypnosis gained some respectability. According to one resource and a pharmacist according to another, is one of the pioneers of self-hypnosis. He is remembered for his formula for curing by optimistic autosuggestion “Day by Day, in every way, I am getting better and better. In the 1920’s, Emil Coue, originally a pharmacist, made a study of the psychology of suggestion and operated a clinic in Nancy, France. His successes helped to make autosuggestion for self-benefit the vogue in Europe. He made an exhaustive study of the effects of suggestion. At first, he supplied intensive details with he suggestions, but later switched to generalizations in order to allow the subconscious to work out its own best solution and include all that the person might be aiming at. His most famous techniques are: 1) repeating every dayagain and again, “Day by day, in every way, I am getting better and better” 2) if someone thinks that they want to do something, but they can’t the harder they try, the less they will be able to (i.e., always thing positive); 3) “when the imagination and the will are in conflict, the imagination always wins” (used as a theory of why hypnosis worked); and 4) an idea always tends towards realization and a stronger emotion always counteracts a weaker one. Many others inEurope (but not in US) worked with suggestive techniques. Coue was an amazing success. Coue is considered the initiator of T. H. Schultz’s autogenic training, which is derived from hypnosis. This is a method of physical conditioning to produce psychobiological alteration in the subject with no psychological techniques used. The patient obtains control over the voluntary muscles (with which he is most familiar), and then the circulatory system, heart, respiration, organs and head. The hypnotist is not needed and results can be measured. ” One of the articles state that Coue as a pharmacist had a client that came to him demanding a new improved medication because nothing worked. Coue mixed a new improved formula made of sugar and gave it to the client. In a week the client came back and reported that the medicine worked and that he was cured. Coue also realized that suggestions offered by a hypnotist have no effect unless the client is in agreement with them, and further recognized that all hypnosis is in effect self-hypnosis. When the will and imagination are in agreement, one does not add to the other, but one is multiplied by the other. 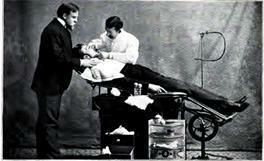 Hypondotia (hypnotism in dentistry) was begun in 1948 and has become wide spread. The American Society of Psychosomatic dentistry (an association of ethical dentists who are trained and certified to apply hypnotic techniques) has been established. Later, in 1956, Pope Pius XII gave his approval of hypnosis. Hypnotism is a serious matter, and not something to be dabbled in. In its scientific use, the precautions dictated by both science and morality are to be followed. Under the aspect of anaesthesia, it is governed by the same principles as other forms of anaesthesia. He perfected a more direct approach to hypnotize his clients which he taught to the medical field without having any medical training. A good book on his approach to hypnosis is “Hypnotherapy” by Dave Elman. It is a great record of case studies of different issues and one are highly recommend for Hypnotists of all levels. Elman has a strong following and several schools have been opened up that specialize in the Elman techniques. Elman is considered more of a authoritarian hypnotist which would also explain his success in teaching the medical field this approach. 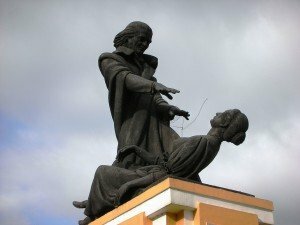 Developed many ideas and techniques in hypnosis that were very different from what was commonly practiced. His style is commonly referred to as Ericksonian Hypnosis and it has greatly influenced many modern schools of hypnosis. I go into trances so that I will be more sensitive to the intonations and inflections of my patients’ speech. And to enable me to hear better, see better. Erickson maintained that trance is a common, everyday occurrence. For example, when waiting for buses and trains, reading or listening, or even being involved in strenuous physical exercise, it’s quite normal to become immersed in the activity and go into a trance state, removed from any other irrelevant stimuli. These states are so common and familiar that most people do not consciously recognize them as hypnotic phenomena. Clearly there are a great many kinds of trance. 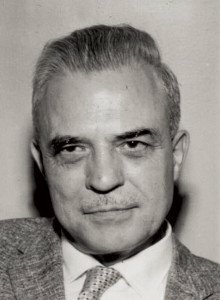 Many people are familiar with the idea of a ‘deep’ trance, and earlier in his career Erickson was a pioneer in researching the unique and remarkable phenomena that are associated with that state, spending many hours at a time with individual test subjects, deepening the trance. That a trance may be ‘light’ or ‘deep’ suggest a one dimensional continuum of trance depth, but Erickson would often work with multiple trances in the same patient, for example suggesting that the hypnotized patient to behave ‘as if awake’, blurring the line between the hypnotic and ‘awake’ state. Mr. Erickson also wrote the entry for the Encyclopedia Britannica 14th Edition, Volume 12 in 1954 for Hypnotism. There are a few good books that discuss the Milton speech patterns like “My Voice Will Go With You” the teaching tales of Milton H. Erickson by Sidney Rosen. Anyone wishing to know more about conversational hypnosis should research Mr. Erickson to better understand hypnotic language patterns. There have been a lot of developments in the use of hypnotic language and one development is by Richard Bandler and John Grindler which is referred to as Neuro-Linguistic Programming or NLP. NLP is more of how to create change in the mind without the use of trance and by rewiring the way ideas are formed and stored in the mind. Frogs to Princes is a great book for more information. In 1955 the British Medical Association recommended that a description of hypnosis and of its psychotherapeutic possibilities, limitations and dangers be given to the medical undergraduate trainees. Hypnosis is used in law and the FBI to aid memory and rehabilitate criminals. The most famous example is the Chowchilla, California kidnapping case. Under Hypnotic induction, a school bus driver recalled a license number that led the police to the abductors of a school bus full of children. Hypnosis was also used as psychotherapy for some of the children who had been greatly disturbed. Some police departments have appointed their own official hypnotists. The NYC police hypnotist has won national acclaim in solving difficult criminal cases. Today hospitals, psychiatric clinics, jails, courtrooms, sports, schools, even churches and synagogues use hypnosis. We continue to find more uses for hypnosis than we ever imagined. We have found that suggestions given under surgery can have a direct impact on patients even when they were not intended. The mind is an extremely powerful tool and when used correctly it can possess incredible healing powers. There are several organizations that have been formed to provide guidance to the practice of hypnosis when there is no state or government regulation. Members of these organizations adhere to continuing education as well as certification standards. In the 1990’s, hypnosis has come full circle, it has been talked about on radio, shown on most national TV talk shows, from Oprah to Donohue, and been written up in major magazines, from Cosmopolitan to Success Magazine. Most everybody has a friend or a family member who has gone to a hypnotist for something. Even medical doctors are sending their patients to a hypnotist for habit control – stop smoking, weight control, stress reduction, as a first choice. This was unheard of 20 years ago, as doctors only referred to a hypnotist as a last resort. As hypnosis becomes more and more popular, whether or not it becomes main stream, only time will tell.